Today Honda of South Carolina Mfg., Inc. (HSC) announced a new $45 million, 115,000 square foot expansion and innovation project. The new addition is designed to meet increased demand for Honda side-by-side vehicles, which are produced exclusively at the Timmonsville, South Carolina plant. The company has already begun hiring new associates, as well, as the expansion is anticipated to create 250 new jobs at the facility. Over the last five years, Honda has invested $93 million and created over 150 new jobs at the Honda of South Carolina Manufacturing plant, all in order to support growing side-by-side production. The exclusive global manufacturer of Honda Pioneer side-by-sides, HSC produces the 500, 700, and 1000 series models. The expansion and innovation project is meant to improve the manufacturing efficiency, parts flow, and logistics involved in the production of the vehicles, with the addition of new paint, weld, final assembly, and material service areas. Today Honda also announced that in 2017, the company will begin manufacturing the small and medium displacement engines currently produced at HSC at its Kumamoto Factory in Japan, which already produces large displacement engines. 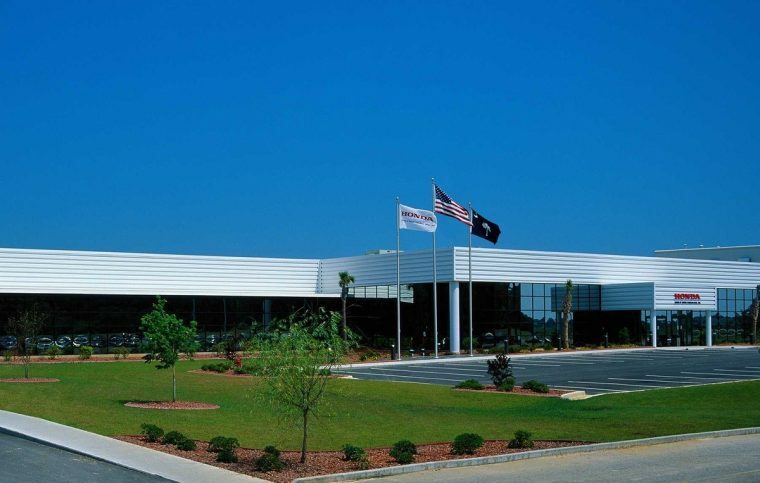 The move will free up more room at the South Carolina plant for expanded production of side-by-side products. Honda says the HSC employees who work on powertrain assembly will remain employed at the plant but transfer to other responsibilities.